Preheat oven to 350°F. Place beaten eggs into a shallow bowl. Mix breadcrumbs and 1/2 cup Parmesan cheese in a separate bowl. Place flour in a sifter, Place chicken breasts on a piece of foil and sprinkle with flour from the sifter on both sides. 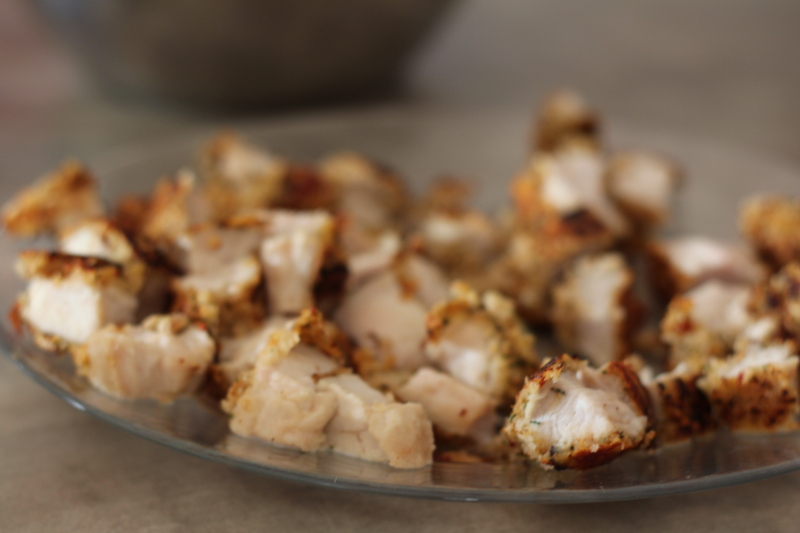 Dip chicken in beaten eggs, then breadcrumb mixture, pressing crumbs into both sides. Repeat with each breast. On medium-high heat, cook chicken in a large skillet until golden brown, about 2 minutes on each side. Cool and cube chicken. In large mixing bowl combine water, Red Gold Crushed Tomatoes, Red Gold Diced Tomatoes with Basil, Garlic & Oregano and Italian seasoning. Cover the bottom of a 9×13 inch baking pan with 1 1/2 cups of sauce mixture. Arrange 1/3 of noodles on top of sauce, slightly overlapped. 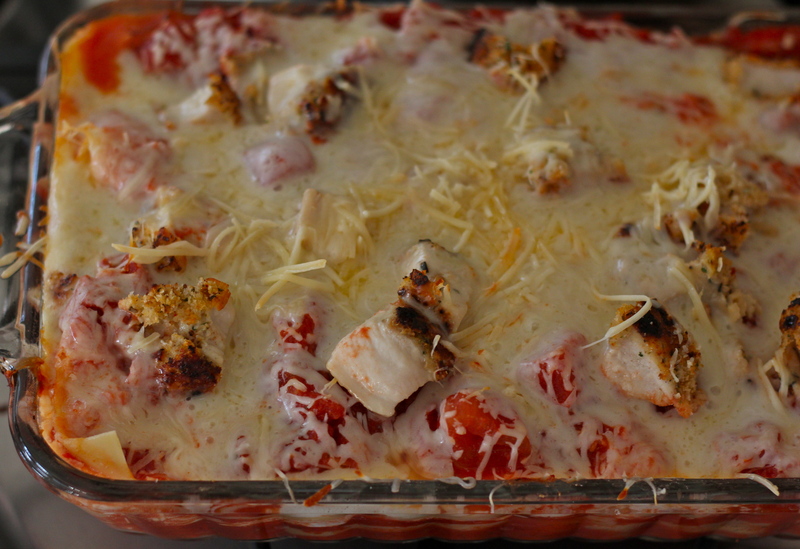 Top with 1/2 of ricotta cheese, 1/3 cubed chicken, 1 cup of mozzarella cheese and 1 cup of sauce. Repeat layers and top with the last 1/3 of noodles, the remaining sauce and the last 1/3 cubed chicken. 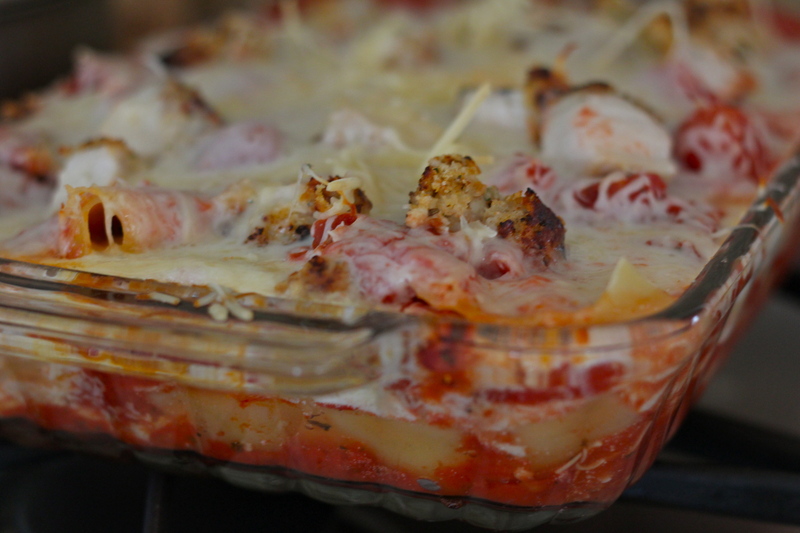 Sprinkle with remaining mozzarella and Parmesan cheeses. Cover tightly with foil and bake for 1 to 1 1/2 hours; until noodles are cooked. Let stand for 10 minutes before serving. Disclosure: Red Gold provided and delivered the complimentary product to facilitate this post. This post was not reviewed by a 3rd party. All opinions are mine and may not reflect those of the company. I am disclosing this in accordance with the Federal Trade Commission’s 16 CFR, Part 255: “Guides Concerning the Use of Endorsements and Testimonials in Advertising.” All photos are mine and subject to copyright. Come join Red Gold’s “Simply Fun, Simply You” Lasagna Party from now until February 3, 2014 on Facebook! 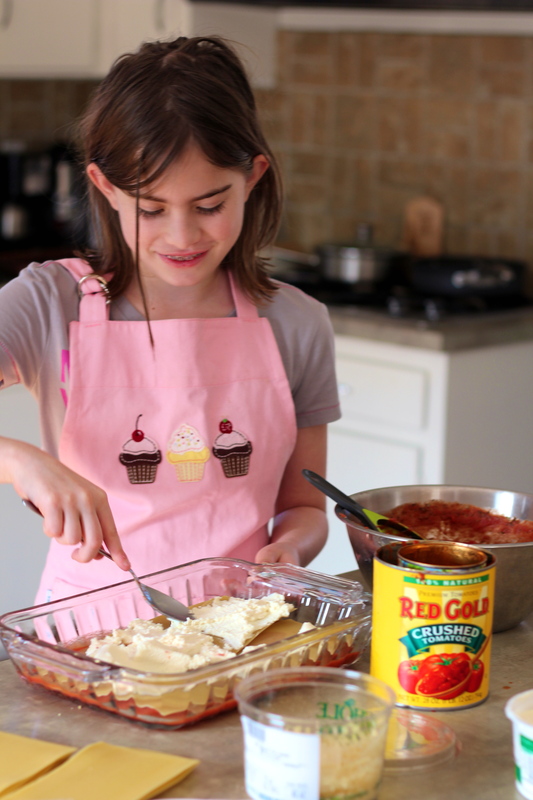 They will be giving away up to 1,000 Red Gold aprons a week, AND each week one person could win a Red Gold Lasagna Party Kit: an apron, spatula, a Garfield plush toy, a Le Creuset lasagna pan and all the ingredients to make your own Red Gold “Simple Gourmet Lasagna,” valued at $250! So, register to win today!